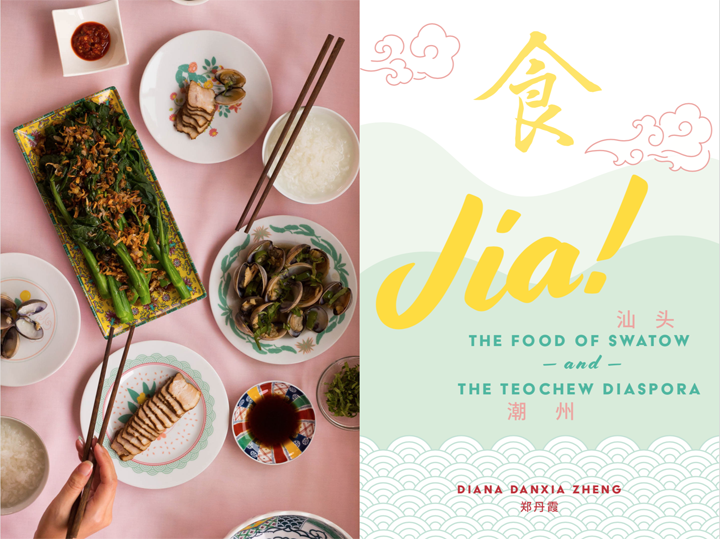 Join us as we welcome Diana Danxia Zheng ’15, who will speak about her new book titled Jia! The Food of Swatow and the Teochew Diaspora, in a conversation with Professor Oliver Wang. Cost: No charge. Snacks and drinks provided. RSVP: This event is now full. Please contact Diana Zheng to be added to a waiting list. Zheng shares stories and recipes from the Chaoshan (Teoswa) people, who come from a region in southern China on the border of Guangdong and Fujian provinces. Originally intended as a cookbook to introduce Americans to the delicate seafood-centric food of her extended family in Shantou (Swatow), the book expanded into an exploration of the cuisine of the Teochew diaspora, as she researched the global migration of the gaginang (“our own people” in the Teoswa language). Jia! explores the evolution of Teoswa food and culture as it made its way to Southeast Asia and the western world, and presents modern recipes adapted for American home kitchens. Celebrate the release of Jia! with the author at LA’s only cookbook store, Now Serving. Oliver Wang, NPR contributor and professor of sociology at CSU-Long Beach, will lead a discussion. Snacks and drinks from the book will be served. Spots are limited, please RSVP below. Diana Danxia Zheng is a writer, designer, and home cook in Los Angeles, CA. While writing Jia!, she founded Gwan-im, a modern chinoiserie company, to design pieces for the home and table in collaboration with other artists of color.